We are proud to announce that our personalized music CDs and personalized kids books were featured on the CBS NY morning show The Couch. The segment consisted of their personalized holiday gifts for children. Personalized Children’s Music CDs can give kids a new unique experience with some of their most beloved characters. Growing up, kids form important relationships with the characters they’ve grown to know and love. 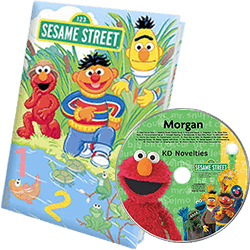 Not only do they provide entertainment, but they teach kids valuable lessons, whether it be basic storytelling, problem-solving or even early life skills, kids have a special connection with these fictional friends. Our personalized music CDs brings that friendship to life. Kids’ names are inserted into the CD so they can hear their favorite characters say their names and feel that much closer to them. Not only can they clutch their characters to their hearts in toy-form, but they can cherish the memory of feeling included and important to their characters as well. There is still time to purchase your little one a personalized gift that will last for a lifetime! Christmas deadline is December 20, 2013.